After joining Howard County as CIO in late 2006, Ira Levy watched over the region’s transition from sleepy rural enclave to modern suburban IT efficiency center. He has since left his government role behind at the end of 2013, and is now the CEO of Torrential Systems, an IT ecommerce provider based in Columbia, MD. Mr. Levy recently sat for an interview to discuss the ground-breaking efforts he and other Maryland leaders took in shepherding the completion of the One Maryland Inter-County Broadband Network (ICBN), the nation’s first statewide broadband network. 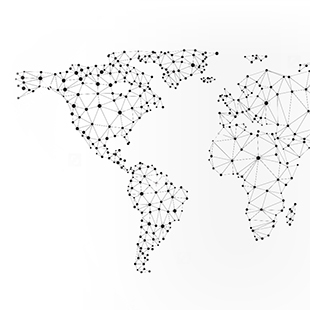 On April 24th, Ira will co-host a live webinar that details his experiences with the ICBN and discusses the pros and cons of publicly funded broadband networks. You can register for that webcast here. How did the One Maryland: Inter County Broadband Network (ICBN) project get started? 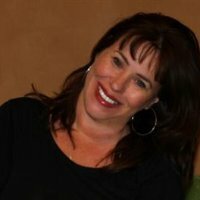 Ira: Just over four years ago, while working as CIO for Howard County, I was working on ways to share resources and collaborate better with other jurisdictions in the state. At the time, the county was struggling with challenges in procuring and upgrading leased line circuits. In some cases, even when circuits connecting buildings were upgraded, they didn’t gain the quality of service, or were unable to efficiently run certain key apps. That’s when we decided to explore turning the ‘then current’ fiber optic backbone that ran north to south along Interstate 95 and also extended along the 495 beltway to Frederick, in a “V” shape, into a full fiber optic ring, to enhance fault tolerance and increase the ability for counties throughout the state to collaborate, and share services as needed. 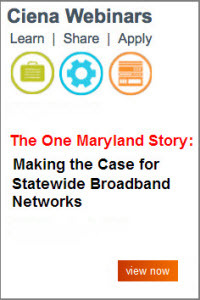 The concept caught on, and with funding granted from the federal stimulus, we were able to build our case for state-wide broadband interconnectivity – hence the birth of the One Maryland Broadband Plan, and the ICBN. What were the primary goals of the One Maryland: ICBN network initiative? 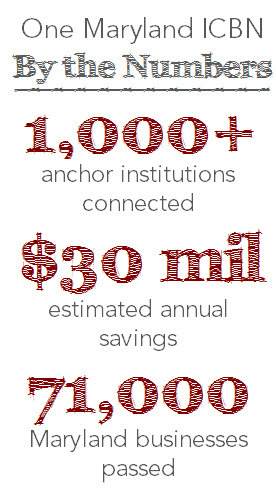 Ira: We worked to gain a set number of fiber optic miles (just under 1,000), interconnecting a minimum of 1,000 anchor institutions within a three year timeframe. We also sought to ensure this effort wasn’t redundant with other efforts in the region. In total, we were able to identify approximately 2,000 existing miles of fiber optic connectivity already in place in the state, and built connectors into those other networks. We also had to ensure each jurisdiction gained a level of autonomy for the network assets located within that county or city’s jurisdiction. And there was also pressure to build governance so that every county/region had a voice in defining its own priorities for use of the One Maryland: ICBN. As CIO for Howard County, what were your priorities? Ira: It was our goal to connect all schools, hospitals, public safety organizations, as well as primary government services, such as libraries. Other regions chose to focus primarily on public safety, or schools within their region. Howard County also had the added responsibility of ensuring that the funding granted was used to help each jurisdiction achieve its top priority goals. And how well has Maryland done in achieving those goals? Ira: Based on the state-wide adoption of the network, the state’s investment has been deemed an overwhelming success. 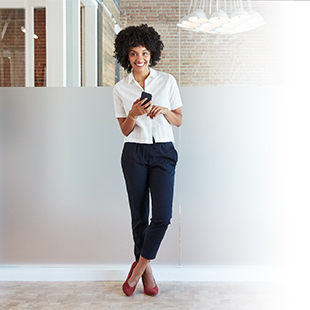 Spanning 4,200 square miles, the network now connects 1,070 anchor institutions and passes potential customers that include 71,000 businesses and 1.8 million households. It’s also estimated the region will save $30 million per year by moving off of more expensive platforms and leased lines. And there are opportunities to share resources, do joint procurements, gaining better pricing for key services. Counties can work with other jurisdictions on new applications and services that simply weren’t plausible in the past. At the same time, there are still varying degrees of adoption. In Howard, Montgomery, Prince Georges and Anne Arundel counties, for example, there’s been strong adoption as the broadband network has been used to interconnect schools and expand public safety operations across those counties. Other jurisdictions are still working to evaluate how best to adopt the new network. Some regions are also facing significant budgetary challenges. The good news is, as each jurisdiction looks to invest in cloud services, or VoIP, for example, the process will be eased by the availability of fiber-based broadband access to regional data centers across the state. What should other states do if they want to boost collaboration and implement similar state-wide network initiatives? Ira: Begin by assessing and documenting what fiber optic networking assets are already in place. Next, it’s crucial to set goals. How many houses, businesses and/or government facilities do you want hooked up, at what speed and by what timeframe? It’s important to develop a plan that includes private industry and government working together. 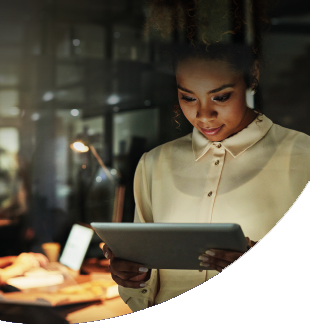 By working closely with partners, such as Ciena and others, it’s possible to leverage powerful tools and capabilities to help find new ways to improve public safety, education, healthcare and economic development.